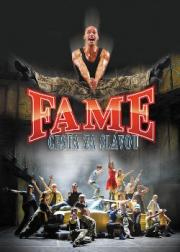 1) We were at MdB to see the Fame musical. Good, but if I may choose, in future I would like to see the West Side Story at the sixt time rather than the Fame at the second time. Also, I think Stanislav Moša, the theatre director, is megalomaniac. When I was working at MdB [seven years ago], the theatre has one house, today its occupied three houses. 2) Few weeks ago I have read the notice about Stephen Leacock and then I remembered I didn't read any Leacock's book for a long long time ago. So I went to the library to borrow all free  books by Leacock. Just the same day I impatiently started to read one of them but unfortunately the book wasn't as too readable as I had thought it should be. After the first book [Literary lapses] I started to read the Jane Austin's Pride and Prejudice [I've never read it before] for a relaxation and I came to the conclusion that I would like to read 7 Austin's books rather than 7 Leacock's books. 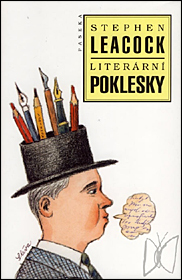 After Pride and Prejudice I have tried to read any else book by Leacock, but I have enjoyed it lesser than the Literary lapses. 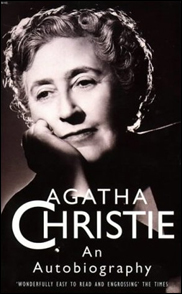 a) I have started to read Agatha Christie's Autobiography in English. The book was bought in London few years ago by myself and its time is finally comming. I'm really curious how long time I will entertaining to read not-native-language book. I like this book a lot and I have read it many times, lastly on my Russia trip this summer. 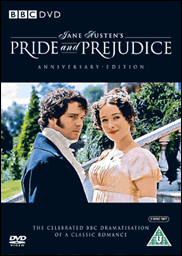 b) Inside four days [I finished reading the book] I've got the BBC series Pride and Prejudice with English subtitles, too. I'm looking forward to English lessons with Colin Firth.